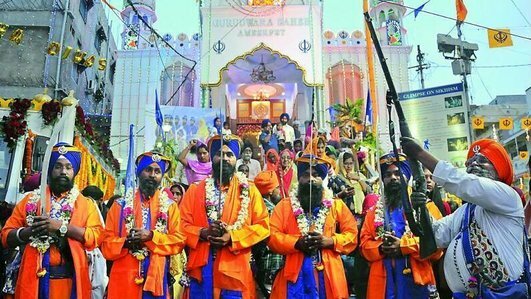 This week, Sikhs around the world are preparing to celebrate the holiest day of the year, which takes place this Sunday. Vaisakhi is a festival of great significance for Sikhs because the 10th guru, Guru Gobind Singh, laid down the foundation of Khalsa (the Order of the Pure Ones) on this day in 1699. Last Sunday, the streets of Dublin were awash with the colour saffron, as around 2,000 Sikhs celebrated with a parade through Sandymount and Ballsbridge, close to the only Sikh temple in Ireland. Our reporter, Louise Denvir, brings us a flavour of the celebration, featuring music, martial arts and devotion. The Jewish Passover begins next Friday, commemorating their liberation by God from persecution and slavery in Ancient Egypt and their freedom as a nation under the leadership of Moses. Amid a reported resurgence of anti-Semitism in Europe, an exhibition is taking place in London, tackling myths about Jews and money. ‘Jews, Money, Myth’ reveals how anti-Semitic tropes have a 2,000-year history and encourages visitors to challenge stereotypes that circulate today.